Classic Rock Legends Wishbone Ash To Undertake Pilgrimage North America Tour! After logging more than 20,000 miles touring North America last year, the group will begin their 2015 spring tour in Vancouver, British Columbia, winding down the West Coast of the US and then heading across the South – hitting cities that include Portland, Seattle, Oakland, San Juan Capistrano, Ramona, Phoenix, Austin and Dallas. Visit http://www.wishboneash.com/tourdates for the complete schedule. In 2014, Wishbone Ash released “Blue Horizon” (Solid Rockhouse Records) to international acclaim. Praised for its stylistic variety and masterful performances, the album features guest artist, Ireland’s Pat McManus, on fiddle for two tracks. “Blue Horizon” also includes two songs written by Aynsley Powell (Andy Powell’s son) and one by former Wishbone Ash guitarist Roger Filgate. While they’re making pilgrimages to various parts of the globe, Wishbone Ash will undertake some live recording projects, as well: one a vinyl-only limited release direct from Metropolis Studios in Chiswick, London; another to be recorded over a three-day residency at Le Triton in Paris for a DVD release. Powell also plans to publish his autobiography this fall. “It’s quite an undertaking to put 45 years of being a touring musician in this one band into book form,” he says. Tour dates and more information can be found at http://www.wishboneash.com . 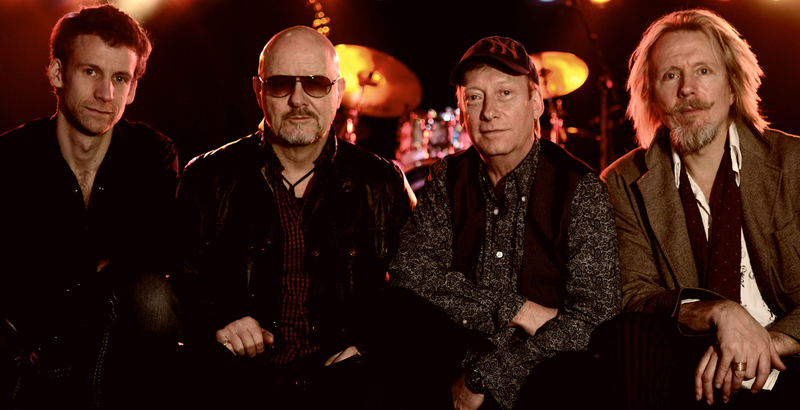 This entry was posted on Sunday, February 22nd, 2015 at 14:52	and posted in Press Release, Wishbone Ash. You can follow any responses to this entry through the RSS 2.0 feed.